A simple exterior conceals this grandiose Art Deco theatre, whose huge auditorium is decorated in shocking pink. Gold and green are the dominant colours of the bars and foyer of the Piccadilly Theatre, with beautiful original light fittings. A patchy production history has included few major hits. Although Noel Coward's Blithe Spirit (1941) opened here, most of its lengthy run took place at other theatres. A celebrated John Gielgud production of Macbeth was ended in 1942 by the traditional misfortunes that haunt this play: four of the cast died, a designer committed suicide then the theatre was hit by a stray German bomb. 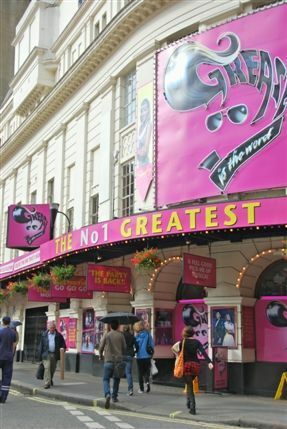 In the 1960s and 1970s it improved its reputation with a series of successful transfers from Broadway 'Who's Afraid of Virginia Woolf' (1964) and A Streetcar Named Desire (1974) both had their London openings here. In its incarnation as a cinema, it also premiered the first talking picture to be shown in Britain.